Avocados (Persea americana) are not just for making a yummy guacamole. As we are finding out, natural oils are extremely beneficial for our tresses and keeping them healthy, moisturized, and nourished. Avocado oil is a master at moisturizing dry hair due to heat damage and environmental factors. This lightweight oil is derived from the fruit pulp of an avocado and is native to Mexico and Central America. According to Livestrong, this amazing fruit is high in vitamin E and unsaturated fats and has more potassium than a banana! This oil forms a protective barrier that keeps the hair hydrated, soft, and improves elasticity. As we get closer to those colder and drier months it just makes sense to incorporate miracle oils like avocado oil into our regimen to save our tresses from dryness and damage. Not into DIY? Do not fret my curly darlings…we got you covered. You will be in good hands with this intensive repair conditioner that has water, glycerin, avocado oil, hydrolyzed soy protein, and fatty alcohols. Not only will this conditioner bring your dry strands back to life, but it will extend the life of your color treatments while moisturizing and nourishing your tresses. Water, fatty alcohols, coconut oil, and avocado oil come together to nourish, restore moisture, and increase manageability to your lifeless strands. 98.8% natural and sulfate-free, this conditioner is amino-acid rich and reduce frizz while increasing your hair’s shine. Water, fatty alcohols, and dimethicone (silicone) create a conditioner for good slip and nourishment. Replenish your strands and make your hair touchable and softer. Made with water, fatty alcohols, quaternium-91 (conditioner) and hydroxpropyl starch phosphate (naturally derived sugar – emulsifier), this conditioner will nourish and hydrate your hair. Seal the cuticle for a richer shine. Get silky strands with the water, fatty alcholos, dimethoicone (silicone), and behentrimonium chloride (conditioning agent) that make up this rich conditioner. Get touchably smoother hair that is gentle and will fight frizz. Water, fatty alcohols, and stearamidopropyl dimethylamine (replacement for silicones – water soluble and derived from vegetable oil) make up a favorite line for curlies. Silicone-free and hypoallergenic, this conditioner will deliver softness, strength and shine. A cream conditioner for overworked hair made of water, fatty alcohols, behentrimonium chloride (conditioning agent) and silicones. Fortify your strands with nutrients to nourish and smooth your hair’s surface. Add life and softness to your overworked hair. This homemade goodness is created with distilled water, fatty alcohols, stearalkonium chloride (coconut derived emulsifier), avocado oil, and white tea extract. 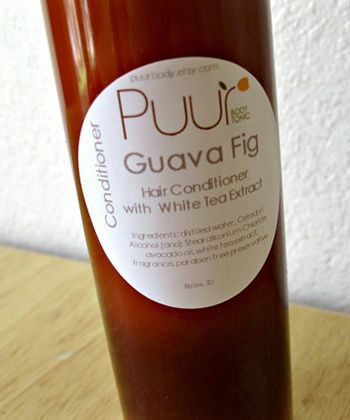 This yummy smelling conditioner will leave your hair softer and frizz-free. A homemade balm with purified water, olive oil, shea butter, cocoa butter, and avocado oil that is rich and perfect for your stressed tresses. Can be used right after a cleansing or during a scalp massage on dry hair. Your hair will drink it up! 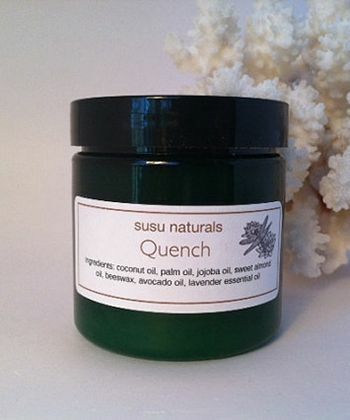 This all-natural hair conditioner has the best for key ingredients. Avocado oil, unrefined shea butter, castor oil, carrot seed, and burdock root extract create a rich combination to hydrate, soften, and spoil your tired tresses.